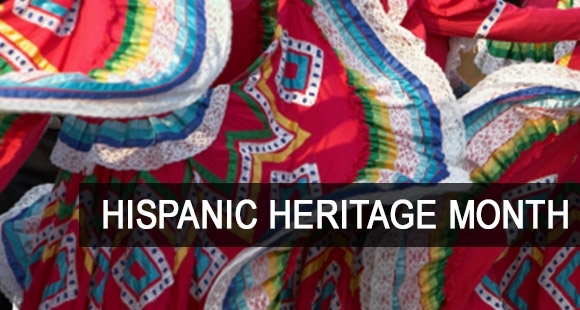 Did you know that National Hispanic Heritage Month runs from September 15 to October 15 every year? I wanted to give a shout-out to the Hispanic community by showing some love to some of my favorite Hispanic jewelers. Each year, Americans commemorate National Hispanic Heritage Month by celebrating the histories, cultures and contributions of American citizens whose ancestors came from Spain, Mexico, the Caribbean and Central and South America. The idea for National Hispanic Heritage Month started back in 1968 under President Lyndon B. Johnson as Hispanic Heritage Week. In 1988, President Ronald Reagan expanded the week into a 30-day period beginning September 15 and ending October 15. The date of September 15 is significant because it is the anniversary of independence for Latin American countries Costa Rica, El Salvador, Guatemala, Honduras and Nicaragua. In addition, Mexico and Chile celebrate their independence days on September 16 and September 18, respectively. Ivon Fuentes from Mexico started Mayeh Jewelry to corral all her inspiration into jewelry. She is inspired by native pottery, the natural world and the historical architecture all around her. Her silver and fine gold jewelry is making waves. Ivon incorporates some native materials to support her birthplace. Oscar loves rounded shapes, and asymmetric lushness. His style is unique and very recognizable. He works mostly in sterling silver and makes bold and fun pieces that are collected all over the world. 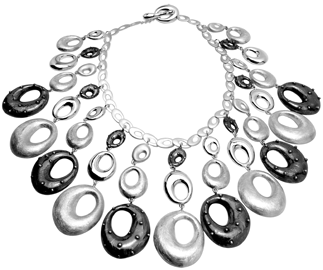 A Fabulous Graduated Asymetric Ovals Necklace from Oscar Figueroa. 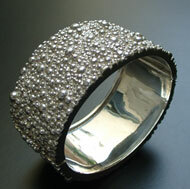 Oscar is a Designer of Distinction and much admired by jewelers and jewelry lovers around the globe. Oscar achieves a unique style with ergonomic designs, of devious shapes and imaginative flair. He cut his jewelry making teeth in Taxco in Guerrero state, south-central Mexico. He learned the trade from several of the great Master Craftsmen in the region. 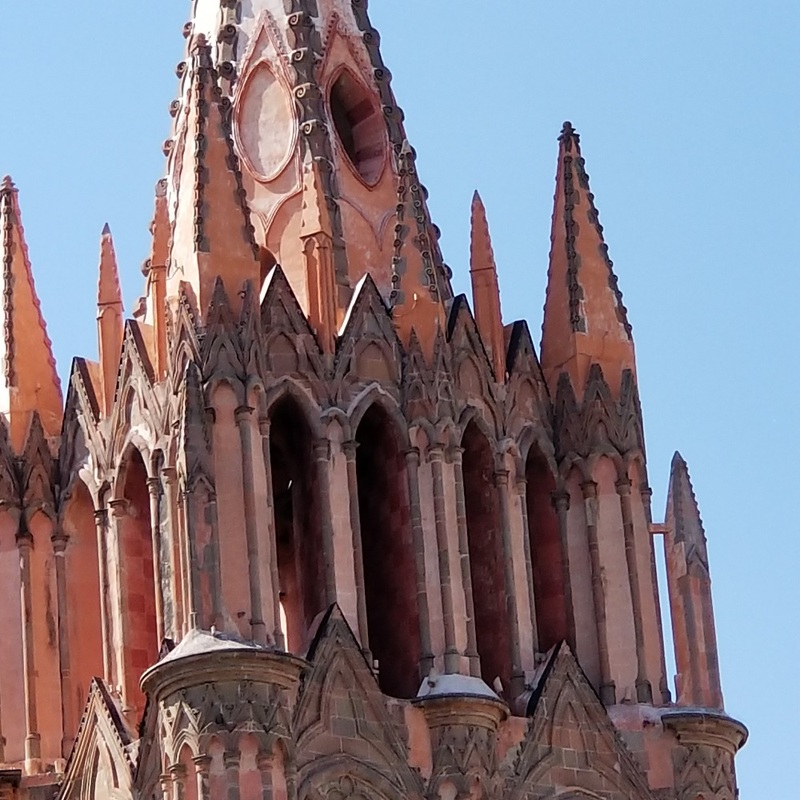 At one time, Taxco was a pre-columbian silver mining site and has a rich heritage in jewelry making. How appropriate that Oscar learned in an area steeped in silver jewelry tradition! Isabel Herrera studied jewelry at the Instituto Metallo Nobile in Florence, Italy. Her early work creating for well known design houses helped fuel her spirited style, which grew quickly and brilliantly. Isabel’s design style is refined, emotional and wildly creative. In 2005 she founded Boato Art in Jewels. She is currently exploring designs featuring flowers and dragonfly motifs among others. I love her style. If Fall is in the air, and you love jewelry, join me and commemorate Hispanic Heritage Month by discovering new Hispanic jewelry designers. Or celebrate the ones you already love! I’m so glad to know about Hispanic Heritage month and about these wonderful Hispanic jewelers to support. These jewelers musst be talented if they are getting endorsement from the most talented jeweler in the country! I love that you are honoring the Hispanic Jewelers here. There are so many talented Hispanic Jewelers out there. You picked three great ones. I look forward to your next designer showcase. As long as you keep showing us your beautifuls too!